Vélo Vogue: Mom, Are We There, Yet? 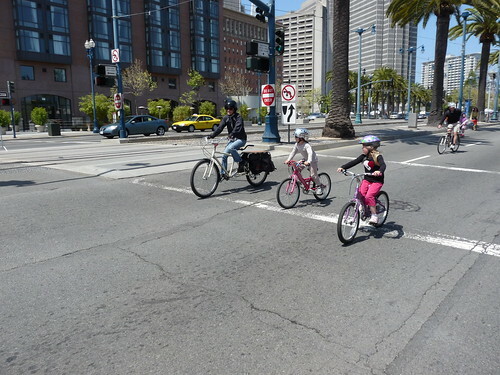 Plenty of parents brave the whine to get their kids out on two wheels. I doubt that any of them would tell you it isn't worth it. Especially when the kids can do it themselves! 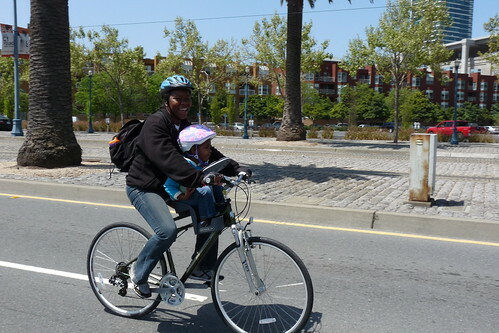 Freedom comes younger when you are on a bike. 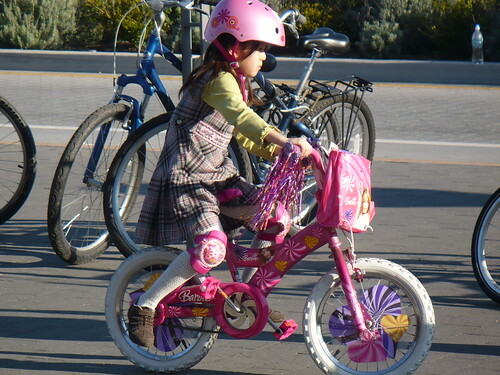 After all, the pink go girl of today is the bikey mom of tomorrow! 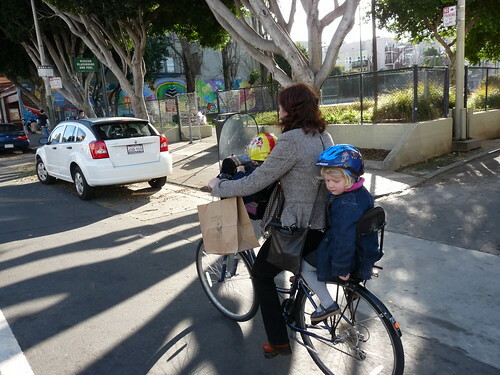 I love your photos of the Mum with two munchkins on the bike. May I post a pic and link to your blog on mine? BronSki - sure you can link to us. The photo and words are by Adrienne Johnson. Make sure to give her a credit. The girls are so bravous. The mom with 2 are even more. In my blog I tryng to give the people corage to start doing the same. Aline- Just keep at it! It makes a difference!